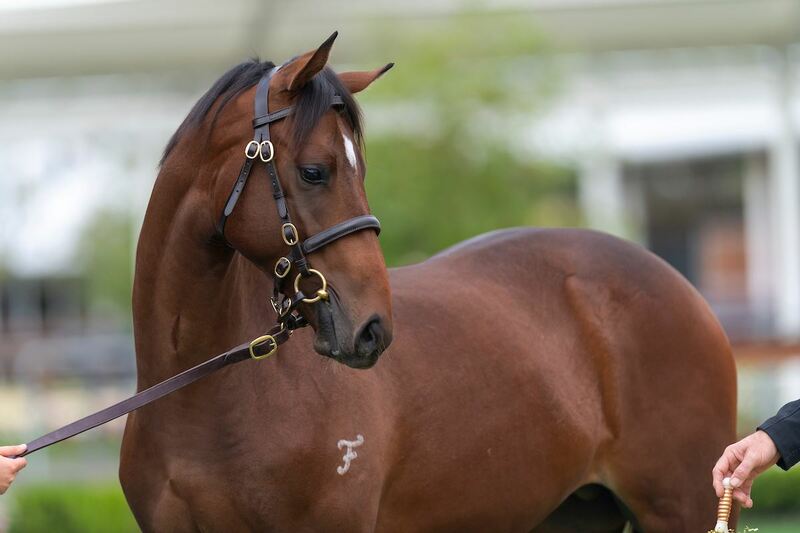 This beautiful colt is by the late and great Redoute's Choice who needs little introduction. The undisputed King of Sires with 34 Group 1 winners to his name, there is nothing Redoute's Choice hasn't achieved during his stellar stud career. With 163 stakes winners to his name including 38 two-year-old stakes winners, Redoute's Choice was unquestionably the world's best sire son of Danehill. Golden Slipper winners, Classic winners, Champions, Redoute's Choice has sired it all. Regally bred, it doesn't get much better than this colt's pedigree page. The second foal out of the winning High Chaparral mare Comaneci, this colt's grand dam is the blue hen mare Circles Of Gold. A winner of the Group 1 Australian Oaks among her four stakes victories, Circles Of Gold was not only an exceptional racehorse but a brilliant producer. She is the dam of Group 1 winners and sires Elvstroem and Haradasun as well as of the incredible mare Hveger, the dam of Champion globetrotter and now sire Highland Reel and Group 2 winning two-year-old Idaho who has just retired to stud. 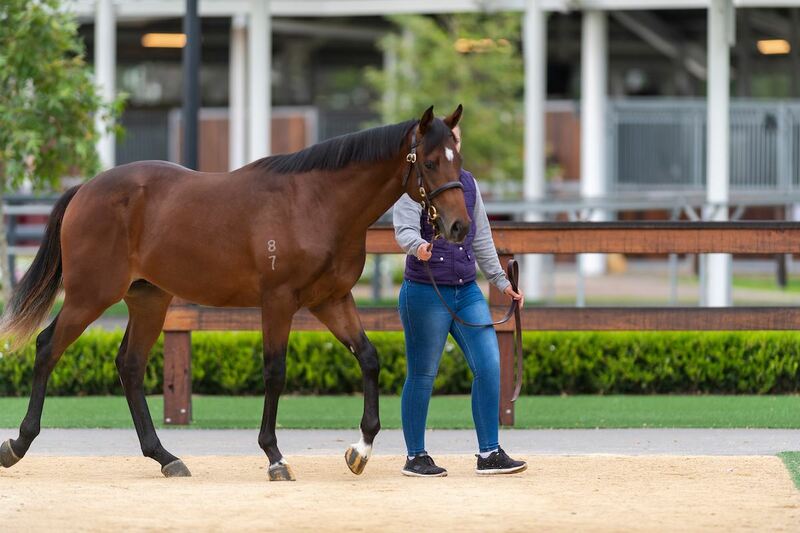 With sires and Champion horses all throughout his pedigree, this son of Redoute's Choice has everything going for him. COMANECI, by High Chaparral (Ire). Winner at 1450m in Aust. Half-sister to ELVSTROEM, HARADASUN, Hveger (dam of HIGHLAND REEL, IDAHO), Altius, Lady Circles (dam of DECIRCLES). This is her second foal. Her first foal is a 2YO. ELVSTROEM (c Danehill) Champion older horse in Australia in 2005. Champion Older Miler in UAE in 2005. 10 wins-1 at 2-from 1300m to 2500m, £49,950, €68,560, A$3,916,600, 4,416,000Dhs in Aust. and U.A.E, Victoria Derby, Gr.1, MRC Caulfield Cup, Gr.1, Underwood S., Gr.1, CF Orr S., Gr.1, Nad al Sheba Dubai Duty Free S., Gr.1, VRC Turnbull S., Gr.2, MRC St George S., Gr.2, Autumn Classic, Gr.2, Guineas Prelude, Gr.3, 2d Longchamp Prix d'Ispahan, Gr.1, VRC Craiglee S., Gr.2, MVRC AAMI Vase, Gr.2, 3d VRC Australian Cup, Gr.1, York Prince of Wales's S., Gr.1, STC Rosehill Guineas, Gr.1, VRC Debonair S., Gr.3, MRC Bletchingly S., Gr.3. Sire. HIGHLAND REEL (c Galileo) Champion Older Horse in Ireland in 2016 (Long). Champion Older Male in Ireland in 2017 (Int.). Joint Champion Older Male in Ireland in 2017 (Long). 10 wins-2 at 2-from 1400m to 2400m, £1,911,713, €1,545,545, US$2,827,300, A$220,000, HK$23,295,000, 1,101,000Dhs, to 2017-18, Ascot King George VI & Queen Elizabeth S., Gr.1, Breeders' Cup Turf, Gr.1, Royal Ascot Prince of Wales's S., Gr.1, Epsom Coronation Cup, Gr.1, Arlington Park Secretariat S., Gr.1, HKJC Longines Hong Kong Vase, Gr.1-twice, Goodwood Vintage S., Gr.2, Gordon S., Gr.3, 2d Chantilly Prix de l'Arc de Triomphe, Gr.1, Prix du Jockey Club, Gr.1, York International S., Gr.1, HKJC Longines Hong Kong Vase, Gr.1, Royal Ascot Hardwicke S., Gr.2, 3d Breeders' Cup Turf, Gr.1, MVRC WS Cox P., Gr.1, Ascot Champion S., Gr.1, 4th Ascot King George VI & Queen Elizabeth S., Gr.1. IDAHO (c Galileo) 4 wins-1 at 2-from 1m to 13½f, £677,271, €341,060, US$77,302, 30,000,000¥, to 2018, York Great Voltigeur S., Gr.2, Royal Ascot Hardwicke S., Gr.2, Chester Ormonde S., Gr.3, Curragh Irish Stallion Farms 2YO S., 2d Irish Derby, Gr.1, Leopardstown Ballysax S., Gr.3, 3d Ascot King George VI & Queen Elizabeth S., Gr.1, The Derby, Gr.1, Goodwood Cup, Gr.1, York Lonsdale Cup, Gr.2, Leopardstown Derrinstown Stud Derby Trial S., Gr.3, 4th Woodbine Canadian International S., Gr.1, Epsom Coronation Cup, Gr.1. 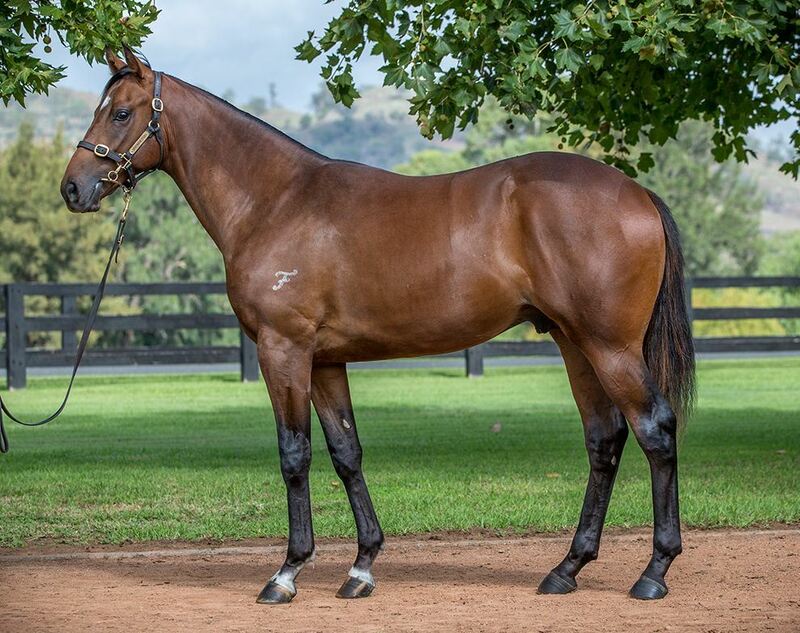 Altius (c Redoute's Choice) 4 wins-1 at 2-at 1300m, 1500m, A$182,738, ATC Clubsnsw H., H&B Cooper Glenrock H., 2d VRC Henry Bucks S., L, MRC Le Pine Funerals H., ATC Rydges Cronulla H., 3d ATC De Bortoli Wines H.
DECIRCLES (g Encosta de Lago) 5 wins to 1400m, A$517,365, VRC Standish H., Gr.3, ISIS H., Auckland Racing Club H., Leonard H., 2d VRC Sires' Produce S., Gr.2, CS Hayes S., Gr.3, Kensington S., L, MRC John Dillon H., L, 3d VRC Standish H., Gr.3.